Looking for Vinyl Siding in West Brookfield, Massachusetts? West Brookfield residents looking for a low care exterior finish should consider the advantages of vinyl siding. Beautiful and durable, vinyl siding in West Brookfield, Massachusetts needs to be installed by professional contractors with a keen eye for detail. Trust the pros at MTS Siding and Roofing LLC for all of your siding projects, and expect quality service and solid warranties at affordable prices. Serving the local Massachusetts region since 2003, our skilled staff provides effective and affordable vinyl siding installation and repairs. 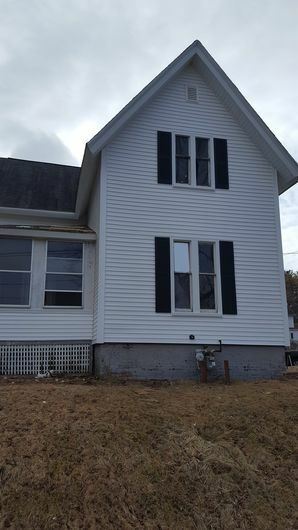 When storms rage across West Brookfield, leaving damaged siding in their wake, MTS Siding and Roofing LLC provides on time service for reasonable rates. And West Brookfield new construction or home addition projects stay on budget with the help of MTS Siding and Roofing LLC. Let our quality workmanship transform the exterior of your West Brookfield home. Vinyl siding panels snap together fairly easily, but it take skilled hands to properly fit corner trim and install vinyl soffit and fascia. The MTS Siding and Roofing LLC crew works hard to ensure every West Brookfield project is finished well. We’re proud to call West Brookfield our home and strive to help every customer create a stunning, maintenance free finish on their home. West Brookfield residents value peace of mind and the MTS Siding and Roofing LLC warranty delivers. Our workmanship warranty covers the installation process, and manufacturer’s warranties apply to quality vinyl siding products. MTS Siding and Roofing LLC helps West Brookfield clients protect their home improvement investments with valuable warranty coverage. Vinyl siding presents a beautiful finish on your West Brookfield home, while virtually eliminating siding maintenance requirements. Take advantage of this superior product installed by the professionals contractors at MTS Siding and Roofing LLC. Our experienced staff work for affordable rates backed by a solid warranty, making vinyl siding in West Brookfield, Massachusetts a wise option for exterior siding. Call (508) 217-7737 today for more details.